Welcome to the Rogue Valley International-Medford Airport, Oregon! We are very proud of this facility and this web site. As you read this information we hope that you will enjoy learning more about the long and fascinating heritage of our airport. The rich history of the Medford Airport is too precious to lose. The numerous people who have worked at the airport over the years have been dedicated members of the community and deserve to have their history and accomplishments remembered. 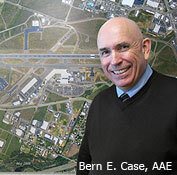 The airport has benefited the citizens of this valley in one way or another for many years. May the airport continue to grow and serve the community, and enhance the quality of life for all of us! To view the book "Rogue Valley International-Medford Airport History Part II 1996-2017" by Susan J. Mathistad, click on the link below. Included in the book is the original "The History of the Rogue Valley International - Medford " by Hattie B. Becker, which covers the airport history from the 1920's through 1995.